The Best Candy blogs from thousands of top Candy blogs in our index using search and social metrics. Data will be refreshed once a week. Troy, MI About Blog Candy Industry Magazine is a business-to-business publication that covers the global confectionery industry from manufacturing to retailing. We offer complete coverage on important confectionery topics: new products, industry trends, manufacturer and retail profiles, R&D and processing & packaging technologies. Facebook fans 2,185. Twitter followers 2,802. 2. Candy Gurus | We may be sour, but we know our sweets. California About Blog Humurous and unique candy reviews of the latest, tastiest, and not-so-good chocolate, gummies, hard candy, gum, and sour chews. Our mission is to review candies honestly, occasionally revealing seriously underrated and hard to find treats. Facebook fans 448. Twitter followers 1,382. 3. Blair Candy Blog | Sweet News On Candy & 'Chews! Altoona, PA About Blog Sweet candy news and tasty tidbits about all your favorite candy. Selling Candy for 70 years, know one knows candy better! Facebook fans 25,649. Twitter followers 1,701. San Francisco, CA About Blog A subreddit feed for everything Candy. Facebook fans 1,187,691. Twitter followers 545,312. Pittsburgh, Pennsylvania About Blog Everything about CandyFavorites is sweet! We deliver candy news and reviews, contests, and free offers. We're determined to give you the candy experience of your dreams. So send us your feedback, requests, and wishes. We'll do everything we can to make them happen! Get Reviews and Musings about candy, snacks and everything sweet. Facebook fans 13,331. Twitter followers 1,668. Montpellier - France About Blog Daily news on confectionery and biscuit industry. Free access to news on chocolate, candy and biscuit processing. Facebook fans 1,432. Twitter followers 4,117. Candy Land About Blog Candy is great, I love eating it, taking pictures of it, writing about it. You can check out all my candy fanatical stuff here. Candy news, candy information, candy every day of the week. It's pretty awesome. Facebook fans 2,538. Twitter followers 2,342. New York, NY About Blog A lot of Candy and toys. Facebook fans 40. Twitter followers 2,204. About Blog Sweet Services offers an online bulk candy store with flat rate shipping and friendly customer service. We carry all types of candy including gummies, hard candy, mints, lollipops and more for your next candy buffet or parade. Facebook fans 1,810. Twitter followers 138. New York City About Blog CollectingCandy.com’s mission is the celebration of candy packaging, candy marketing, candy history and the people behind it all. Ephrata, PA About Blog Weaver Nut Company, Inc. is an Importer & Distributor of Candies, Chocolates & Confections, Dried Fruits, Nuts, Coffees & Teas, Spices, Snacks and Bulk Foods from around the world. Facebook fans 10,499. Twitter followers 121. Florida About Blog Design your OWN custom candy online now! Choose from hearts or mints & add your logo, text or emojis. Worldwide Shipping. Facebook fans 46. Twitter followers 128. San Diego, CA About Blog We are a Wholesale Candy Company, now offering our services online and across the United States! We have one of the largest varieties of candy selections online including bulk, candy bars, nostalgia candy, novelty candy, mexican candy, lollipops, and much much more! We have been serving happy customers for many years with unbeatable pricing. Browse our enormous candy and chocolate selections. Facebook fans 2,093. Twitter followers 2,843. Toronto, Ontario About Blog Kerr's Candy prides itself on its quality confections and a strong Canadian heritage; Simply Irresistible Since 1895. Kerr’s combines a wealth of experience with original recipes to create innovative candies the whole family can enjoy. In using only the finest ingredients, Kerr’s ensures that every piece of confection is crafted to the highest level of quality. About Blog This candy site is packed with colorful images of your favorite sweet things, plus pricing info and nutrition facts. It focuses most on candy of the gummy or fruity varieties, so if those candies are up your alley, be sure to peruse the reviews over the latest pint-sized sugar attacks to hit the market. Lexington, Kentucky About Blog Sharp's makes over 100 different varieties of candy, all from family recipes and all but the chocolate made from scratch. Sharp's Candies has been creating handmade confections for three generations in Lexington, Kentucky. Enjoy our handmade chocolates, candies, nuts and more! About Blog Ms. Candy Blog was created to delight and provide entertainment with candy and candy themed/related products. The blog allows discovery of new products so as to save money & time as well as keeps readers abreast of all things candy! Facebook fans 562. Twitter followers 3,726. About Blog A blog created out of a love for all things sweet and serendipitous. This blog is where I share my unique and fun ideas to incorporate candy into your life – from party and gift ideas to DIY tutorials, recipes and my latest candy finds. By sharing my love for candy, I hope to make other peoples’ lives a little sweeter. Blog by Emily Kelly. Facebook fans 165. Twitter followers 7. Southern CA About Blog We're the Crew that keeps the chocolate waterfall flowing at our blog. Follow candycrate and stay updated on new products, fun facts, coupons and sales! Check us out at CandyCrate.com and browse our large candy warehouse online! Main St. Anoka, Minnesota About Blog Sweet River Candy Company in MN Minneapolis & St. Paul Candy Buffet Catering Specialists Welcome to the Sweet River Candy Company. We specialize in candy. Excite your sweet tooth with homemade delectables. Chocolate, fudge, taffy, gumballs, nuts, jawbreakers, suckers and more. Facebook fans 573. Twitter followers 406. Orange Beach, AL About Blog This blog is about recipes on chocolate, news about cocoa, and more... Search information about chocolate, candy apples, caramel, truffles, fudge, pralines, you name it! Facebook fans 443. Twitter followers 24. Lagrange, Ohio About Blog The mission of the Old Time Candy Company is to provide childhood candy memories in such a way that it glorifies God and His plan for our lives. Our goal for every candy order is that it results in a “delighted customer. Facebook fans 40,467. Twitter followers 4,609. NY About Blog Sweet City Candy carries a full line of bulk candy, chocolates, nuts & dried fruits, wrapped candy, sugarfree products, packaged candy, count goods, novelties, boxed chocolates, cookies and seasonal products. Facebook fans 1,455. Twitter followers 6,889. Plano, TX About Blog Candy People USA sells clean Swedish candy with no trans fats, no high fructose corn syrup, no genetically modified organisms, and natural colors. We'll share news and updates, new products, and sometimes information about our Swedish heritage on the Candy People blog. Facebook fans 875. Twitter followers 316. Henderson, NV About Blog Welcome to Quality Candy. We are a wholesale, retail and manufacturer of peppermint, hard candies, lollipops and other fine candies. From Custom Candy to personalized hospital mints, we have all of your needs. Get up to date on candy news and trends, as well as news and offers that Quality Candy offers. Stop by and say hi! Facebook fans 20,618. Twitter followers 58. Pasig City, Philippines About Blog Candy Corner is your one-stop shop for sweet creations in Israel. We make gift baskets of all sizes, Candy Buffets, host and guest gifts for smachot, shabbat guest gifts for Yeshiva students, center pieces, party favors and Holiday baskets. We can customize creations to meet your specifications, including candy, nuts and dried fruit. Facebook fans 486. Twitter followers 472. About Blog Cindy Brehmer has been making candy since she was a teenager with her mother’s recipes. Thirty years of refinement brings you award-winning gourmet candies. Cindy uses only natural ingredients, including fresh cream & butter, real raspberries, fresh oranges, and natural extracts. 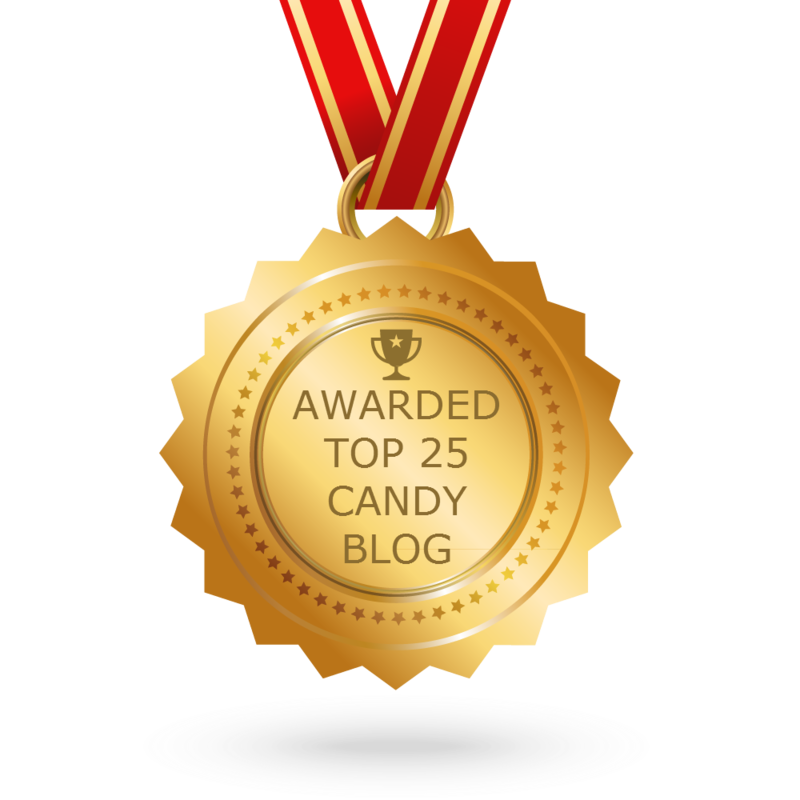 CONGRATULATIONS to every blogger that has made this Top Candy blogs list! This is the most comprehensive list of best Candy blogs on the internet and I’m honoured to have you as part of this! I personally give you a high-five and want to thank you for your contribution to this world.